I’ve been knitting some secret gift knits over the past few months, and now that they have been gifted I can finally post about them. So, for today, a lovely shawl that I gifted to my mother for her birthday. This was the first installment from the Vintage Purls Summer Sock Yarn Club – the first time it has branched out from all sock patterns. I loved this shawl pattern on sight, and the rich coloured yarn that was sent seemed a beautiful compliment to the pattern. The pattern is called Connie, and although it will be exclusive to the club for now, it will be available to purchase early next year. And I really do recommend it – a lovely sideways knit shawl that allows you to use up the maximum amount of yarn from your skein. In fact, it does sail fairly close to the edge – I had to do 12 repeats instead of 13 on the advice of other club members… just in case. This took about a week to knit – surprisingly long but it was an enjoyable knit. The lace repeat was just my kind of repeat – it made perfect sense, and I knit along really happily on it. The weather here is just starting to get chilly, so I hope this is well received and useful this season. PS: My links won’t load up for some reason – I did intend to put them in, honest! I had the pleasure of gifting this beautiful shawlette this morning. A work colleague is going through a really tough time at the moment and it seems like there is very little one can do to support her beside being supportive and available when I can be. I also thought that a little something she could wear might remind her of the support that she has and might give her a bit of strength when it is needed. Imagine my delight this morning when I found her wearing black head to toe this morning – the perfect outfit for an accessory like this! 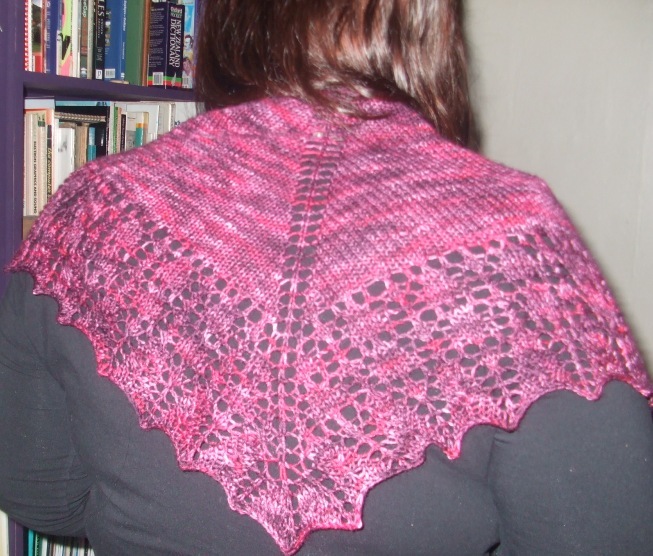 The pattern I chose was the Branigan Shawl. For a couple of reasons though (time being the biggest though to be honest) I didn’t want to work a full sized shawl – something to drape around the neck seemed the best idea. 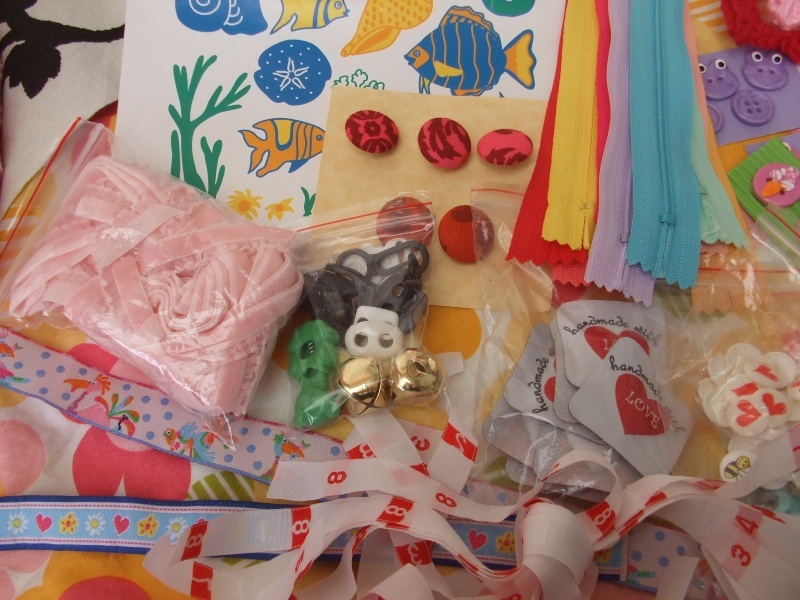 So I adapted the pattern – it has three different sizes on the pattern. I worked the stockingette portion for the medium size, and then did just one repeat of chart A, and then straight on to the edging, leaving out the three repeats of chart altogether. 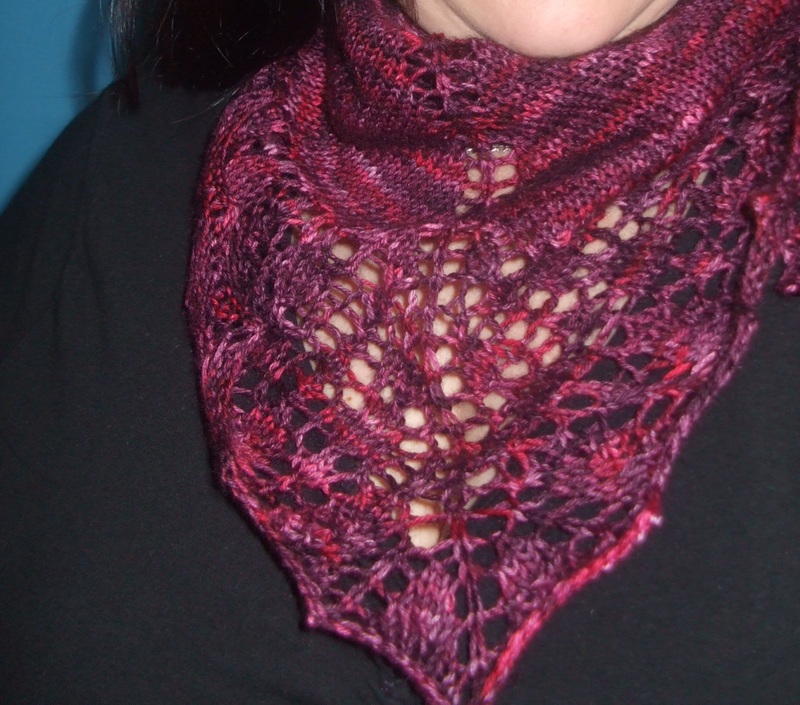 This made the lace portion much smaller and the shawl more compact. I realised that the lace would get slightly covered up by the semi solid variegations in the yarn, and I’m glad I didn’t work masses of lace for it all to be a bit obliterated! The yarn that I chose was from stash. It is a gorgeous colourway called Gothic Rose from Vintage Purls – it is her lovely sock yarn base, which is sooo soft for shawls. The picture below is a good representation of the colour. Everything from almost black through pinks and plums. Gorgeous! 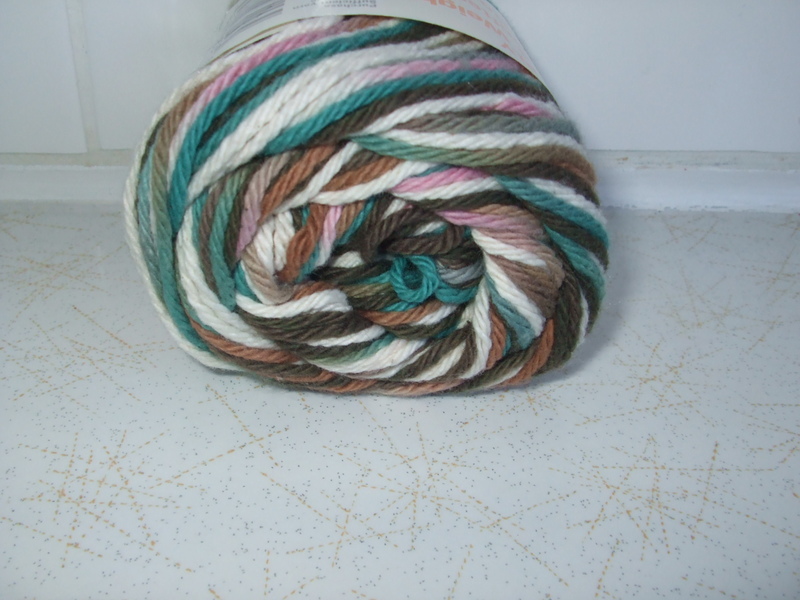 I believe this is one of Morag’s old standard colourways and it’s therefore repeatable. 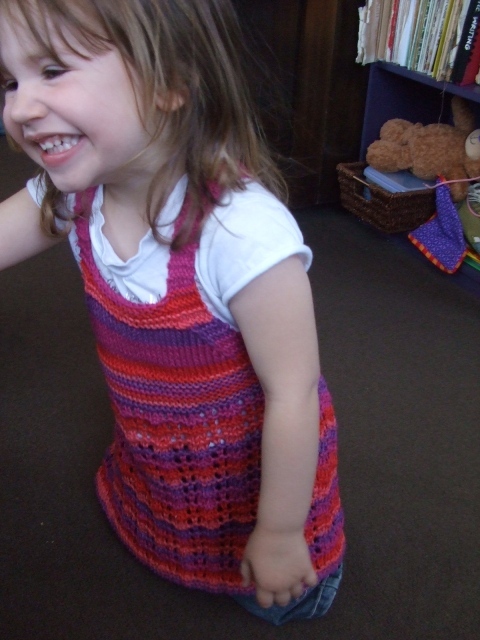 I almost hated to knit it up and give it away – it’s been gracing my stash for some time now. But I really wanted a strong colourway for this shawl, for the strong woman who will wear it. In fact, she currently *is* wearing it. 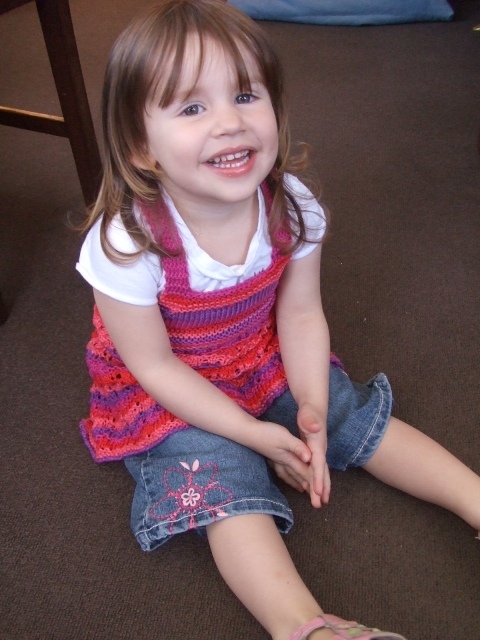 I just knew I would knit this pattern again when I knit it last time, and I am glad that I did. I loved the pattern just as much this time, although I do think it looks better in a more solid yarn. But I do enjoy a sensible, easy to follow lace pattern, and this fit the criteria perfectly. 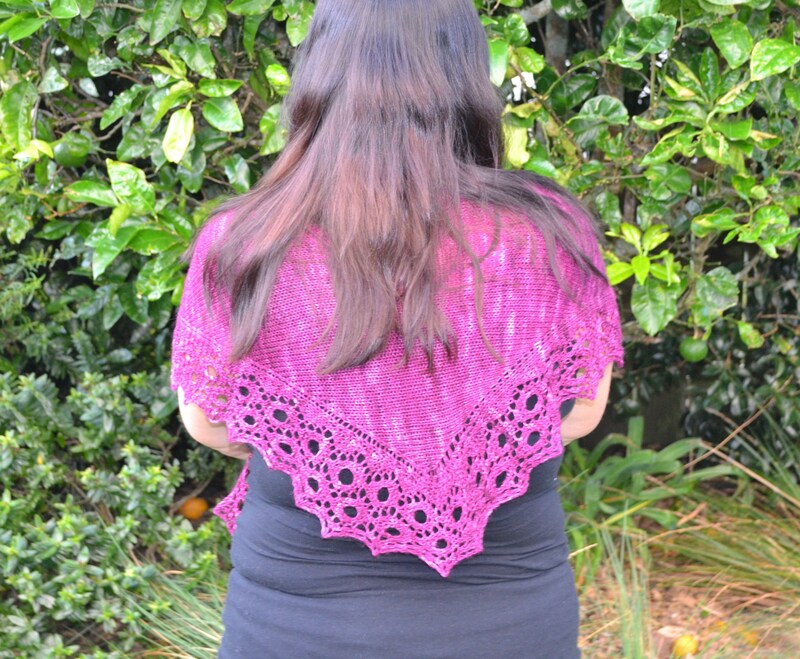 So if you are thinking of knitting a shawl – or if you want to cheat and do a shawlette like me, you should check out this lovely pattern. I was thankful that it arrived in the mail on time and she seems to like it. 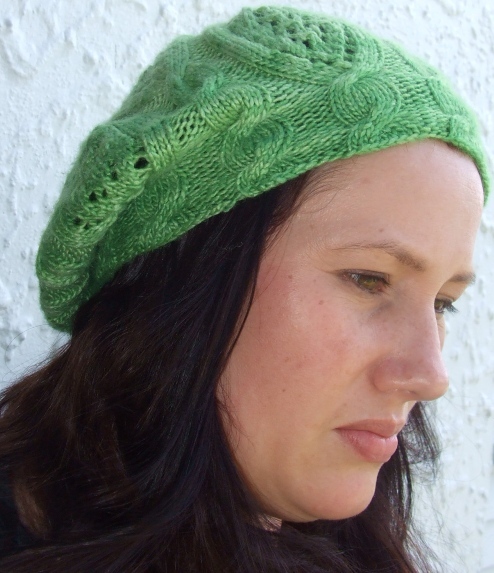 The pattern is a new one, Crooked Paths by Melissa LaBarre. I wished that I could have knit it in a super delicious yarn but had to settle for something in stock at my LYS. It is a DK weight Crucci yarn. But I knew Mum wanted something versatile colour-wise, so I had to steer away from the few interesting things that were in stock. 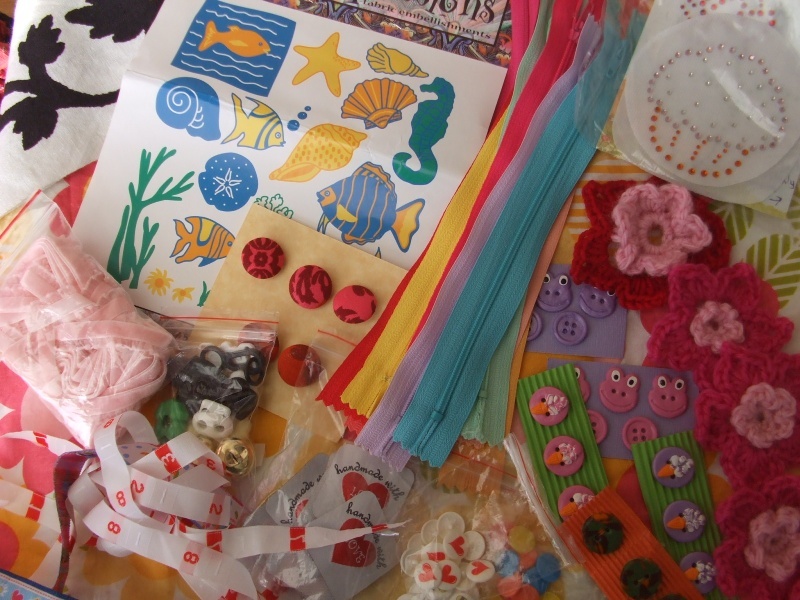 I am redressing this stash issue with a nice parcel from WEBS (yes, sis, I did press the Checkout button). 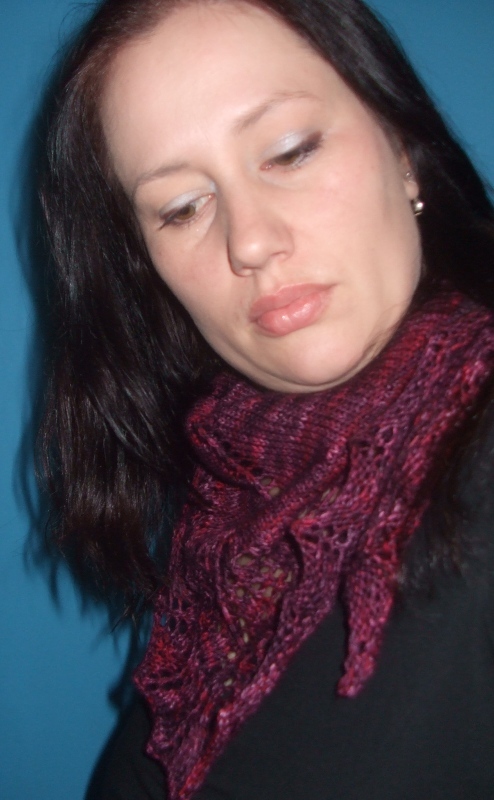 I loved this pattern- it is knit from the band up, three 12 row repeats and then onto the decreases. This was a very fast knit but enjoyable at the same time. I think the result is cute, and I am now looking forward to knitting one for myself at some stage. The weather is starting to cool down already, and we had a slight dusting of snow on the mountain overnight – so it will be beret weather before you know it!! I hope that you all have enjoyed a blessed Christmas with family and friends. We have been very lucky this Christmas, spending it our wee family, and both sets of grandparents. The children have had an amazing day, too many sweets, many treats and been given lots of lovely toys and awesome activities too. And so now I sit inside alone but for sleeping children whilst Dh and my PIL enjoy an amazing calm night outdoors, still 22 degrees at 10pm. I tried joining them, but the wee bitey bugs found out I was there and came around for their Christmas feast too. Hmph. 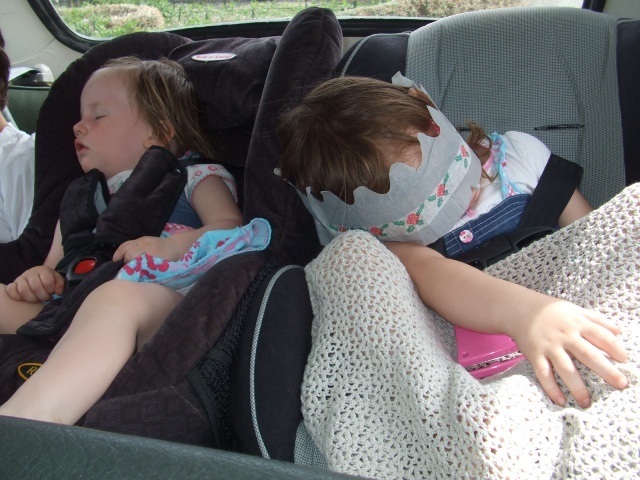 Before I show you some of my Christmas knitting, I thought I would share this lovely picture of my girls in the car coming back from lunch with the grandparents. Needless to say, they were a *little* worn out from a morning’s excitement. You will be well aware I’ve been holding back on you on the knitting front of late. 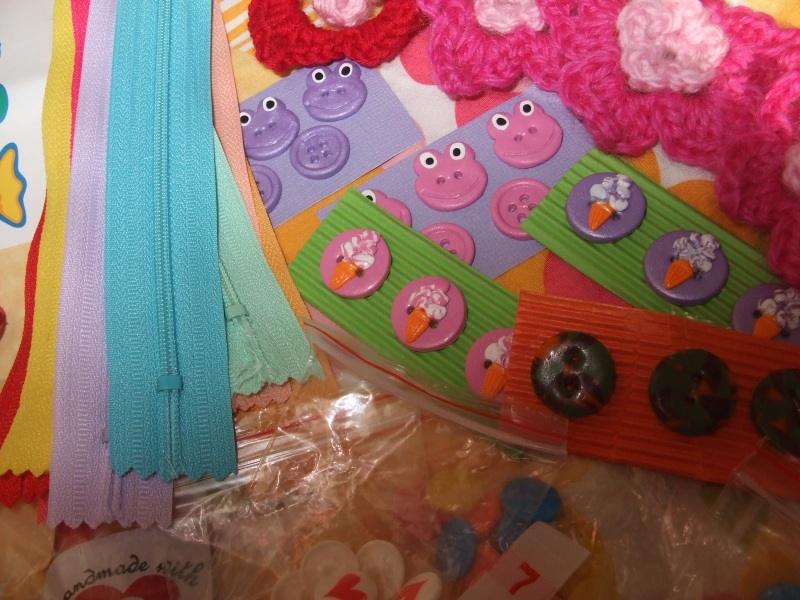 Here are some FO’s from the last few months – I’ll show you some today and some tomorrow. My sister in the States won’t have opened her pressies yet so I don’t want to spoil her surprise! 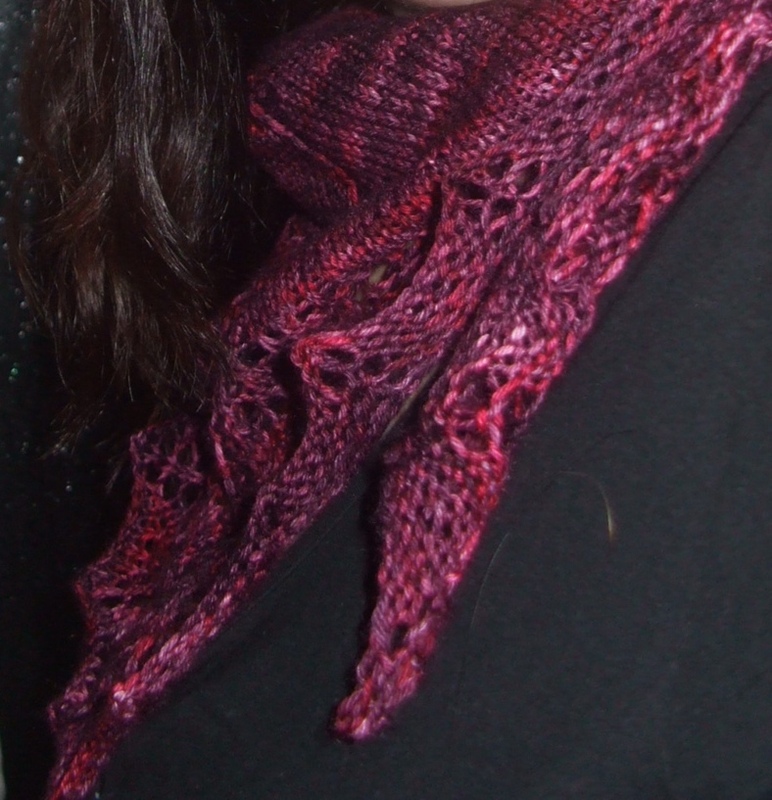 For my SIL, I knit this cowl. 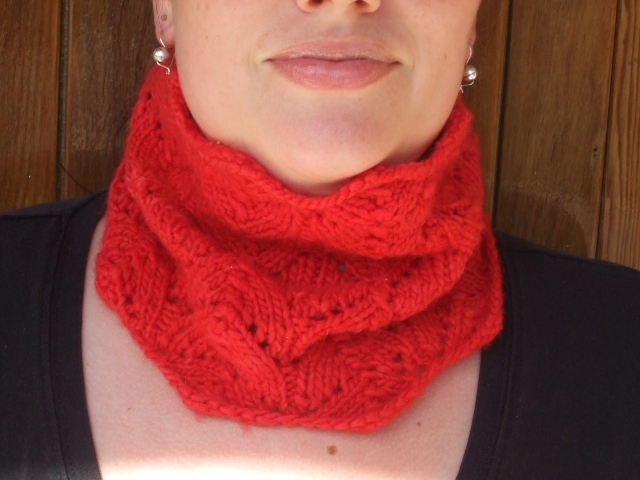 The pattern is the Crofter’s Cowl, and it was a simple and enjoyable knit. 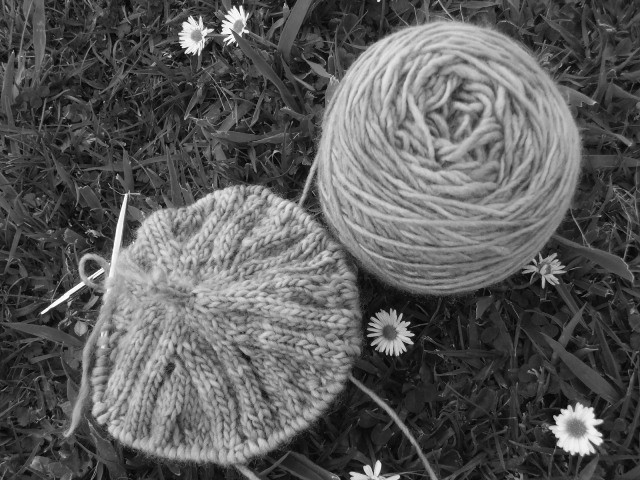 Well, I say that now – but the first night I started knitting it, I just could not make it work out. The second attempt was a breeze. Lesson? Remember to sleep, it helps with knitting comprehension. 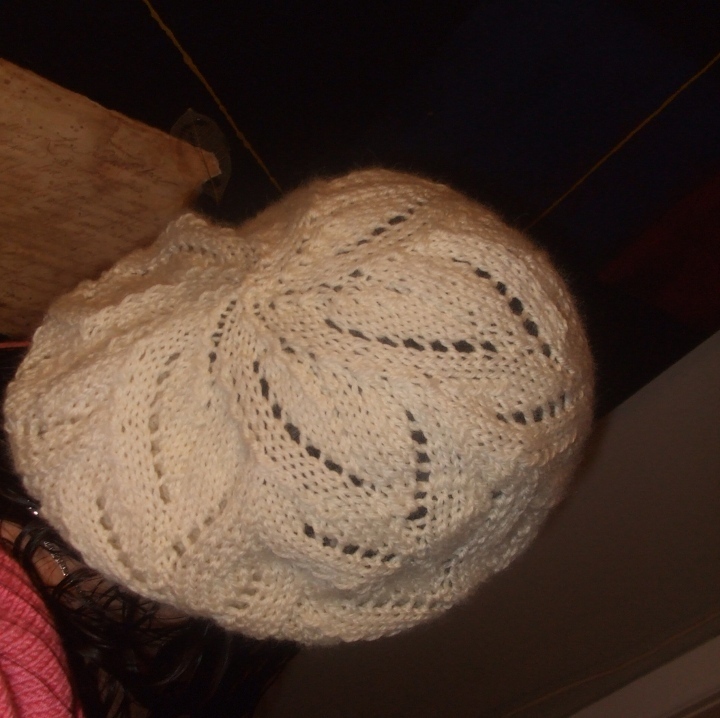 This is knit in two pieces and grafted together, which did take a whole hour – am I a slow grafter or what? The yarn is Malabrigo Worsted in Vermillion. I wanted something super soft, and this fit the bill admirably. I’d been given a list of preferred colours, and it was nearly impossible to find any 10 ply locally in any of these colours, so I ended up ordering this from overseas. I used only around half a skein so there is plenty for a second one or another small project. SIL has deemed the colour ‘perfect’. Yay! 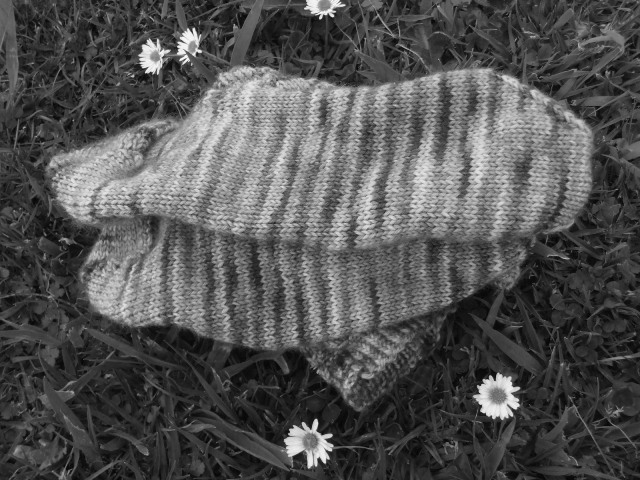 Another gift I got to give in person today was these socks for Mum These are Daphne by Vintage Purls – from the last Summer Sock Club – both the yarn and pattern. Yesterday I was not sure these would be wrapped and gifted today. I had decided to leave the gifts to be given in person until last, as you do. Since I had knitted one sock of this pair way back in July, I thought it would be easy to finish the pair by Christmas Day. 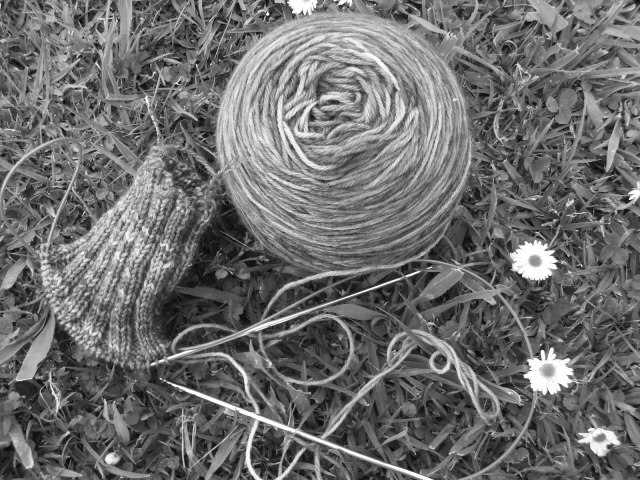 But on Tuesday I discovered, when putting the socks up against each other, I had made a fatal error in the heel of the first sock. I had to rip back the sock right to the beginning of the heel flap and reknit it. Gulp. So, in order to complete these in time I knit the leg a little shorter than I would have otherwise, and switched out the cuff in the pattern for 1×1 rib which was faster. I think that they will suit Mum’s tastes nicely at the length they are – thank goodness! I seriously contemplated wrapping up one sock only, but I got both done and blocked in time, and they dried super fast thanks to great weather on Christmas Eve. 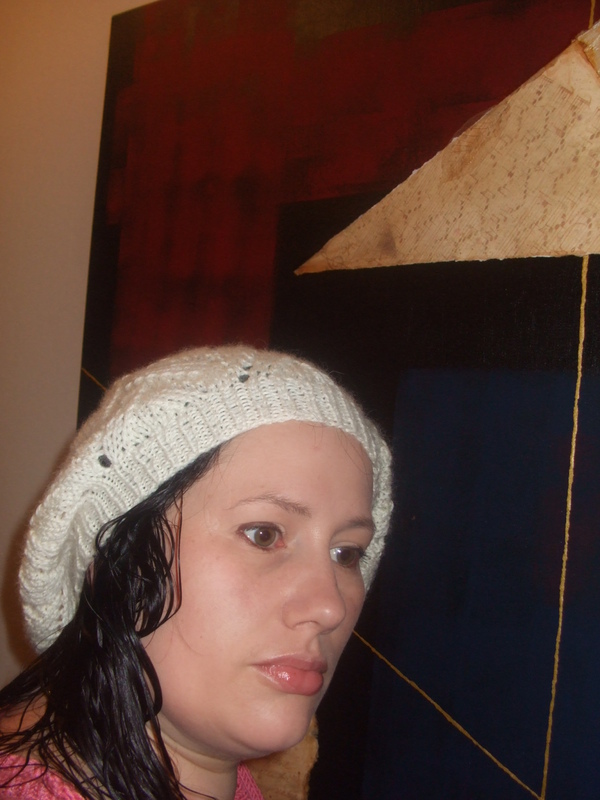 And while I’m on a green theme, I’ll show you the lovely Rose Red beret I knit for my eldest sister. 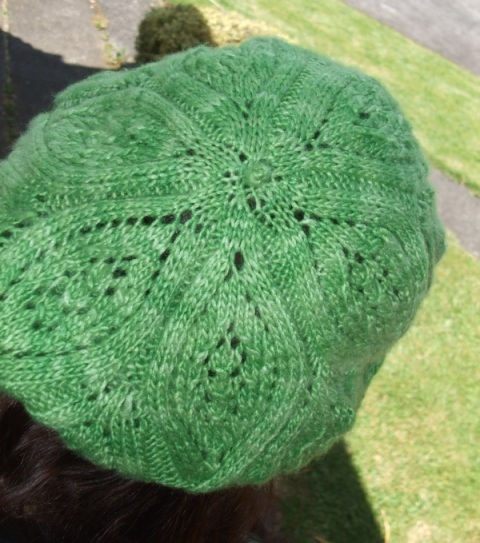 She is the token non-knitter in the family, so I asked her if there was anything I could knit for her, and she asked for a hat like mine. 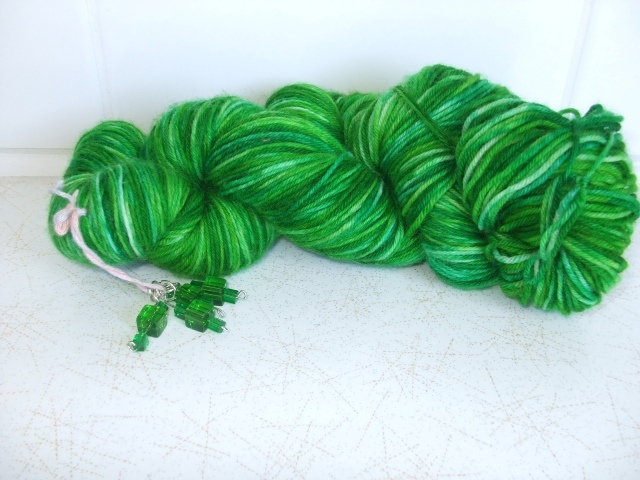 So after a colour conference I selected some yummy Malabrigo Silky Merino in Dill. The end result in a much less dense knit than the Worsted version I knit for myself, but I hope it will keep her warm during winters nonetheless. I have to confess I enjoyed knitting this pattern every bit as much the second time around, it is a super pattern and I would not hesitate to recommend it to any knitter who can follow very well written patterns. I’ve had a couple of pleasant surprises that I thought I would share with you. The first one was a koha (or gift) I got last night from some of my knitting friends. They have both recently taken up sock knitting, and gave this in appreciation of my help. Totally unnecessary in that it’s lovely to share the knitting love, but much appreciated nonetheless. 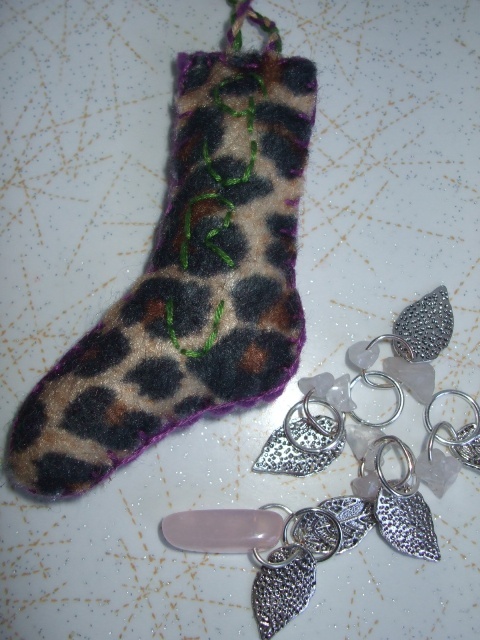 So, first up was this cute felt sock stocking – check it out, who would have known they made leopard print felt!! And inside it was a wee bundle of gorgeous stitch markers. Apparently it was the first time Hannah had made stitch markers, and I think they are just beautiful. And check out the wee tiny sock – destined for a life as a Christmas tree decoration – too cute. Also in the parcel was this beautiful hand-dyed yarn, on a Vintage Purls yarn base that my friend dyed in shades of green. And matching stitch markers. I really have no excuse for not having some always on hand, eh! Another friend arrived bearing some tupperware we had bought several weeks ago (From a friend, not Tupperware). In apology for the delay, this cute Peaches and Creme cotton was included in the parcel. I foresee a discloth in its future. Why, yes, that *is* her Tropical Lily she is wearing. I didn’t mention a thing about her refusal to wear it. And the photos were snapped as part of a wee bit of fun. I managed to get a couple of decent ones in between the funny faces. It fits! And it looks cute! And since she doesn’t remember I made it, it might even get some wear this summer. Despite the lack of evidence herein, I have been knitting. My Christmas knitting list is moving along nicely, with present #1 complete. See? The guesses I had last week were socks, and Vintage Purls yarn. You guys know me too well 🙂 All that remains to be seen is a) who gets them b) the colours and c) the pattern. With these done it was time to cast on for more gifts. So that is what I did. The colours of this yarn are unbelievably gorgeous. It was so tempting to leave them in just so you could enjoy them. But alas, once I started down this road, I feel duty bound to continue along it. And in that spirit, I also cast on this. I am aiming to have the bulk of this knit by the time I start my marking contract next week. Knitting time will be somewhat limited after that, right up until we go for our Christmas holiday. So, I’d better head off and let those needles fly.